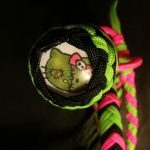 A paracord snake whip in Zombie Kitty colours – black, bright pink and bright green – with glass Zombie Kitty character concho. Made to the same high standard as all of our whips. Choose from one of two build types – our budget and veggie-friendly construction with our carefully developed lead weight core, or our higher spec construction with a leather shot bag and leather bolster. Both are excellent whips, but the leather shot bag core gives the whip a smoother taper and more fluid throw. 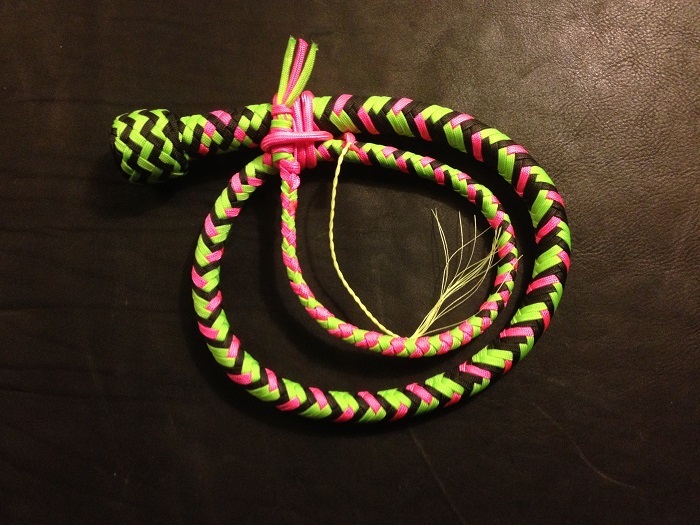 Finished with a turks head knot. Made to order, please see our custom order waiting times. 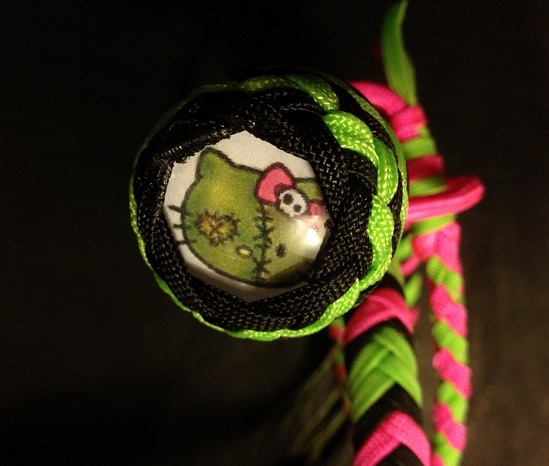 Be the first to review “Zombie Kitty Whip” Click here to cancel reply.